Deborah Lewis received her MSN and EdD from West Virginia University. She later completed an MPH and post-doctoral research fellowship in Biomedical Informatics at the University of Pittsburgh. Dr Lewis currently serves as a core faculty in nursing doctoral program at Walden University. 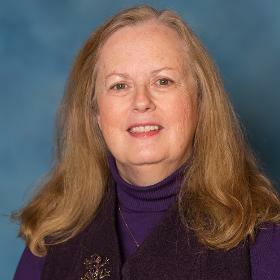 Dr. Lewis has taught nursing and informatics courses at all levels and at several different Universities. She has also taught and coordinated healthcare informatics academic programs. Professionally, Dr. Lewis has worked as a researcher in the area of consumer health informatics and has mentored graduate students and junior faculty colleagues. She has a number of publications and presentations on consumer and community health informatics related research projects. Lewis, D. A. (1999). Computer-based Approaches to Patient Education: A Review of the Literature. Journal of the American Medical Informatics Association. Lewis, D. A., Eysenbach, G., Kukafka, R., Stavri, P., Jimison, H. (2005). Consumer Health Informatics. Irelend, J., Edwards, A., Lewis, D. A. (2011). Downtime and Communication Procedures: Evaluating, redesigning, and implementing new procedures within a multi-facility acute care organization. University of Maryland School of Nursing. Wald, J., Ruland, C., Starren, J., Lewis, D. A., Cohen, E. (2007). Patient Portals to Support Communication and Information Sharing between Patients and Care Providers. Lewis, D. A., Brennan, P., Ruland, C., Seik, K. (2007). Personal Health Records: Research Agenda. American Medical Informatics Association.